Marking a total of 17 wins at the 24 Hours of Le Mans, Porsche model has successfully marked its entity. 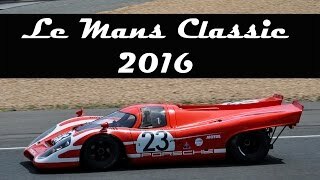 We are here talking about the Porsche 917K 2016. Since the very first unveil in 1968, the model has commendably performed and won hearts of the automotive lovers across the globe. The engineers at Porsche are finally taking a step ahead to keep the model well in state. 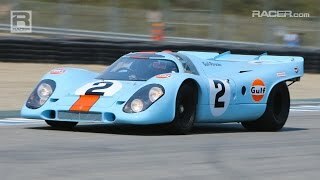 Let us have a look at the review of Porsche 917K 2016 to know more about it. The interior of Porsche 917K 2016 is a dedicated example of perfection created to bring lightweight and practical approach. Upfront the dashboard features a simple instrument cluster while a few buttons are also mounted across on base towards the passenger side. Steering wheel isn’t something you usually expect to have in a racing car like this; it is simple and adds to the ‘weight-saving’ factor as is made from balsa wood. The shifter that we usually find over the center console is housed near to the driver’s door while speaking about the center console, it is nowhere in the scenario. Only driver’s seat comes with a seat belt, which is also the result of FIA regulations, otherwise the base model didn’t have one and proof to this is the passenger side seat. Apart from these there isn’t anything that can be talked about the interior of Porsche 917K 2016 as the latest features and amenities are far from it. 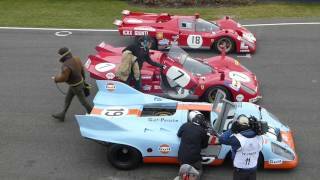 The exterior of Porsche 917K 2016 very well keeps with it the marks of the base model 917. Starting with the front fascia of the model, you’ll have a flat nosed model with muscular wheel arches and a canopy-like cabin which looks amazing. To me the design pattern looked similar to that of many Porsche racing models. Moving towards the rear end, things are bit new. A massive lightweight engine lid is mounted over the space frame while the big three-piece spoiler with active center section will suit most of the race-track kinds. In all rounding up the exterior details of Porsche 917K 2016 I would say rolling over those 12” (front) and 17” (rear) cast alloy wheels the lightweight model looks simply gorgeous. 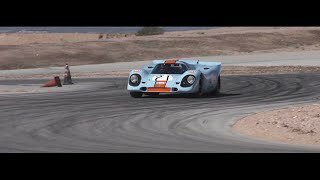 Powered by a 5.0 Liter engine the total output of Porsche 917K 2016 is 600 hp and peak torque is 563 nm paired to five-speed manual transmission. 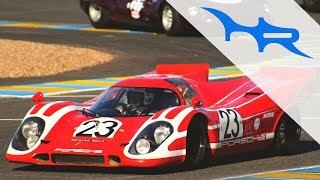 Talking about the top speed of Porsche 917K 2016 Porsche claims it to be r 200 mph while the -62 mph can be knocked in just 2.7 seconds.